I think it is a good time to talk about “Camps” at AUC, and unravel their so-called “mystery.” The details are not important because simply it is a lot of hearsay and nothing to prove (until further notice). I can only speak about my experience at AUC and what i encountered with Camps. 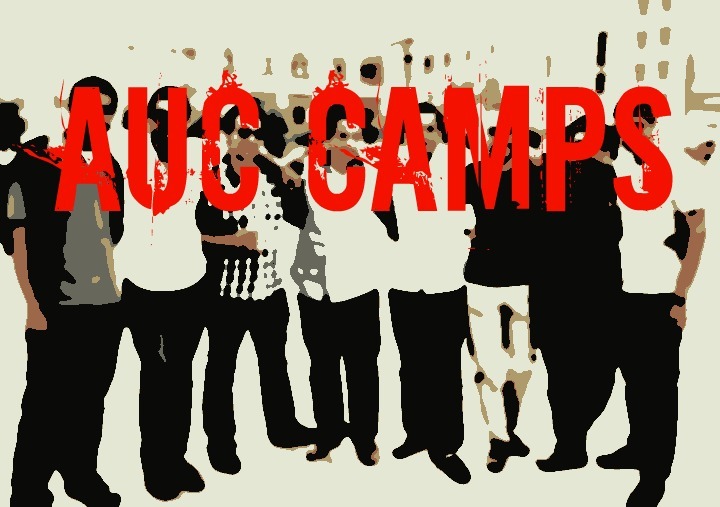 Camps are the AUC student government equivalent of parties; AUCians have a government of legislative, judicial, and executive branches. Camps are an “invite-only” groups, where the goals and interests are set by seniority, which may, but mostly do not have a political ideology. The idea of Camps is EXACTLY why I am against them, because a true student movement should never be based upon “Camps” that don’t have a known and identifiable goals, principles, or ideology to people at the university, they are rather based upon friendships, patronism, and lifestyle; shelalia. This is not what progressive student movements are based upon because a progressive student movement unites people based upon CAUSE/DEMANDS, which are known, identifiable, and inclusive rather than exclusive ones. What does that leave students who are “not invited” to be in camps? Almost nothing since the student political life within campus have been monopolized by “Camps.” Sometimes students attend AUC and graduate and never even know or hear that there are Camps, who are monopolizing student politics and governance. I believe this is counter productive to student politics and mobilization in general. My so-called “attacks” on the Black Camp or ANY Camp, who insist in monopolizing student politics in the university as a Camp not as individuals or students is because THIS is exactly what will prevent and/or weaken any student movement that is based upon principles or cause like that of the organic workers Fall 2010 strike. The idea of Camps makes individual students, who don’t belong to a camp, almost have no chance in engaging in student politics (including movements) unless he or she joins a Camp. 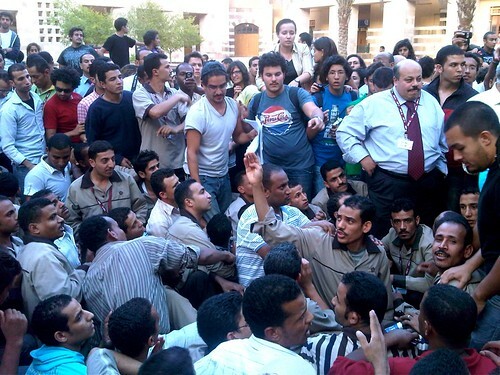 Almost all of the individuals, who took part in the 2010 fall strike, who were mostly individuals not in Camps, were either prevented, attacked, and/or excluded from giving input in this year’s “Occupy AUC,” unless he or she belonged to a Camp. This is very dangerous because it enforces the monopoly of student activism to exclusive groups that are not even known to the whole community. The presence and idea of Camps, in my opinion, is the highest undemocratic form of a student movement, which sometimes praises itself on being “revolutionary.” This is both highly problematic and dangerous to what a progressive student movement means and the ideas a revolutionary student movement represent, which this year’s “Occupy AUC” did not, and you can read why in my previous report. This is why I support AUC Front because AUC Front is uniting people based on sectors (workers, students (from all camps or no camps at all), staff, faculty, alumni) with common interests based on known and identifiable principles and goals. 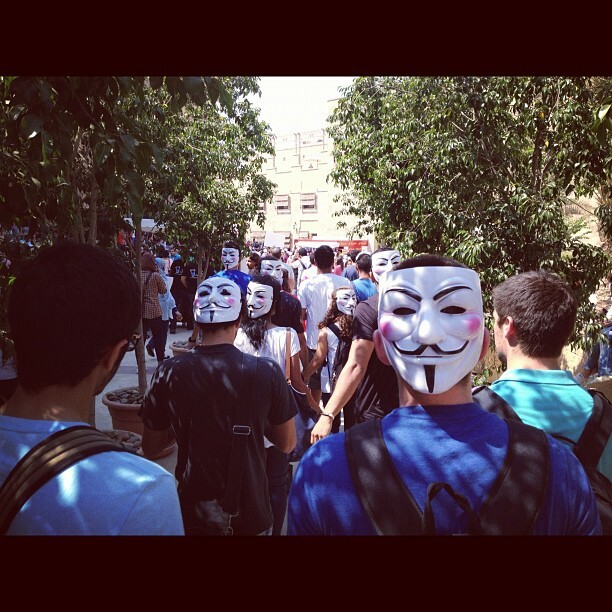 In this year’s crisis, the Front’s goals were transparency, accountability, and investigating corruption, they were willing to tackle those problems from the roots rather than from the angel of Camps and student politics, which already by default exclude many other people on campus, who care about the cause/demand and willing to mobilize. I don’t want the idea of Camps to monopolize student politics period, and this time the Black Camp was the monopolizer even if they “allowed” other Camps to play a role like the red camp or others. Thus, it becomes a Camp struggle and NOT a student struggle nor a student movement, and who has a strong Camp would basically rule with an unknown, unidentified, and exclusive ideology. Because AUC is different in its dynamics and free space from other universities in Egypt, AUC is capable of pushing all boundaries in student mobilization, and lead the whole student movement to an entire new level. This won’t happen unless Camps are either dissolved or become more open and inclusive. If anything we learned from the revolution so far is that the dictatorship of the minority is as bad as the dictatorship of a tyrant. The Camps usually revolve around a few group of friends leading that Camp to where ever these individuals see fit. The idea could be used for good, but so far it has divided people, isolated them, and used substitutionism as an elitist method of struggle. A strong student movement at AUC must be open to others, it must be public with its principles and goals known and identified to all, and it must be inclusive to all members of the community who are willing to fight for the cause. We MUST all put hidden interests and personal glories aside in any real attempt of fixing the core problems at the AUC. These problems are categorized in severe corruption and unjust practices by the administration towards many sectors of the AUC community and affect all of them, not only students. We have to expose those Camps so they are known to the rest of the community and I invite all of the Camps to reveal their identity and make their principles and goals public, if there are any, to unravel this AUC worst-kept “mysteries” once and for all. I say this with every caring concern about what is happening at AUC, not just for the sake of AUC, but for the sake of the student movement as a whole and the revolution. Power of the people is greater than people in power.